Home » Living Room » Bailiffs – who are they? Bailiffs – who are they? Following on from my previous blogs about Court Action with CCJ’s if you do not comply with the terms and keep up the payments then your creditor could seek to get a bailiff to recover goods from your home in order to sell and use to pay back what you owe them. From my past experience, working closely with clients, there is a lot of misunderstandings about them and what they can and can’t do. A bailiff is someone who is employed by the courts to take your possessions in order to sell them and give the money to your creditor to pay back the debt that you owe them. The court would only send the bailiff if you fail to maintain payments towards your CCJ. There are four types on bailiffs: –Private Bailiff self employed or employed by a private firm. Not all private bailiffs have to be certified. –County Court Bailiff they work for the county court and they are responsible to the district judge of the local court and they are used if you have a CCJ. -High Court Enforcement Officers they work for the High Court and deal with High Court orders. They also deal with some CCJ’s as long as they are over £600 and they must deal with ALL CCJ’s when they are over £5,000. -Magistrates Court Bailiff work for the Magistrates Court and are responsible to the clerk of the court and they mainly deal with money owed in criminal offences. In general you do not have to let the bailiffs in. They are also not usually allowed to force their way into your home. However there are certain situations where they can force entry. These situations are: -Bailiffs collecting unpaid fines they can force entry whether they have been in your home before or not. As a last resort they can break into your property. -They have gained peaceful entry before if they have been in your property before by means of peaceful entry then they can then force entry upon their next visit if you do not allow them in. -County Court bailiffs entering a commercial property they can only do this if there is no living accommodation attached. They need permission from the court to force entry into any commercial property. -Bailiffs collecting income tax or VAT they must also have permission from the court and they can only do it if they failed in a previous attempt at peaceful entry. In order to keep the bailiffs out, especially on their first visit: -Don’t open your door to them, use the door chain if you have one -Don’t leave your windows or doors open when you know they are coming. -Alert family members that live with you so they don’t let them in, which would count as peaceful entry. What happens when they gain peaceful entry? 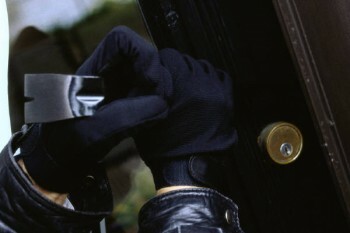 If or when the bailiffs gain entry into your home they will then firstly search your home. They will then decide which goods they are going to take and sell (this is called seizing). And then finally they will impound the goods, this is the point in which they take the goods. The bailiffs can only seize and impound goods to cover the debt and their fees and nothing more. A bailiff can take any items that belong to the person who owes the money, even if they are jointly owned. They cannot take any items that belong to family members or your children. They cannot take any items such as clothing, bedding, household equipment or anything that you would need to satisfy a basic domestic need. Don’t forget you can also follow us on Facebook and Twitter. Hi Alan, would you be able to call us, our Helpline number is 0800 2802816 it is a freephone number and someone will be able to help you with your queries. Please do not panic, as we are here to help you. Hi, a couple of points in addition to the above. First, if the debt the bailiffs are collecting is relatively small (say an unpaid fine) then you should strongly consider whether you should pay if you can. Each time the bailiff comes to see you, whether you answer or not they will add a call fee to your debt. This can rapidly amount to much more than the original amount due. Next, the impression given, above, that bailiffs will walk into your house and walk out with your telly is not quite correct. They cn do this and there is no guarantee that they won’t. However, it’s a hassle – so in most cases they won’t do this. Instead, they will usually offer you a “walking possession” agreement: You agree to pay off the debt in a number of instalments. That can be a good way to deal with the debt. But – if you do miss a payment, they will be back with a van and the goods listed on the agreement will go and they will be auctioned.